Leonard Komon, the 10km and 15km world record holder on the roads, will make his marathon debut at the 2014 De Lage Landen Marathon Eindhoven. The Kenyan, now 26, has been focusing his first race over the classic distance for several months. On March 30, he won the Vattenfall Berlin Half Marathon in 59:14, the fastest ever debut over that distance; and he has increased his mileage in preparation for his marathon outing in the Dutch city in just under eight weeks' time. On Tuesday morning, he was driven around the Marathon Eindhoven course by the race organisers and his immediate impression was extremely positive. "I have 2:05 and breaking the course record as my target time. I think the course is very fast, it is a nice course and if the weather is good, I hope to run a good time. Some people in my training group ran in Eindhoven last year and so I already knew a little bit about the course but it is important to see it for yourself and I can say I am very happy," said the erudite and affable Komon. Komon's compatriot, Dickson Chumba, ran the current Marathon Eindhoven course record of 2:05:46 in 2012. "We have still to discuss pace making in detail, and who will do it, we have eight weeks to decide that, but I think I would like to run the first half in 62:30 and that will give me the chance to run 2:05, or even faster. "I have been very happy with my training, I have not had any injuries or any other distractions since my last race (in New York, when he finished second in 28:17 over 10km on May 10) so I am feeling quite confident I will have a good chance of achieving my targets," he added. Komon will certainly have plenty of local support around the streets of Eindhoven after he delivered a heartfelt eulogy to the hospitality of the Dutch road running community, and the country in general. "One of the reasons I chose Eindhoven to make my marathon debut is that I feel this is my lucky country. I have run many good races here and always been treated so well. "I ran my 10km world record in Utrecht (26.44 in 2010), which is not very far from here, and my 15km world record was in Nijmegen (41:13, also in 2010), which is also not very far from Eindhoven. "I feel very comfortable in this part of Holland. I am used to the conditions and the environment. 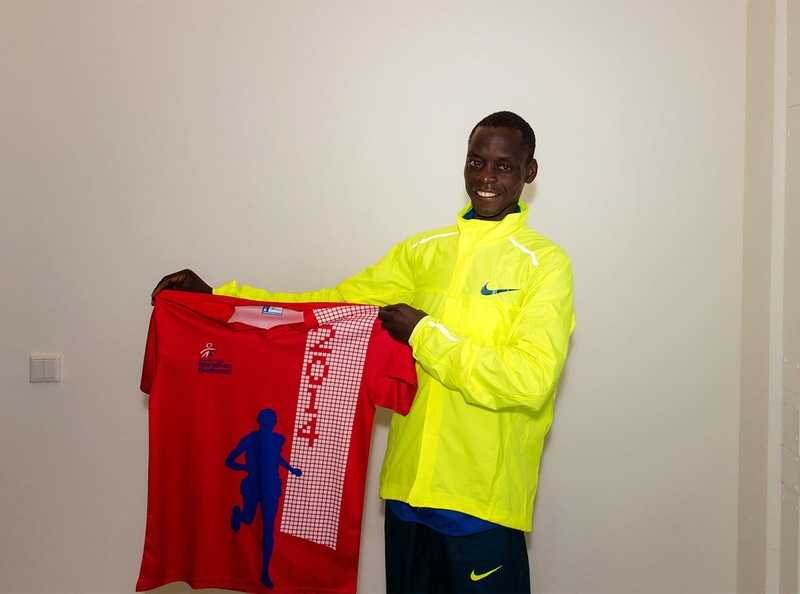 I also hope this is my first step to running the marathon at the Olympics in Rio in two years time," reflected Komon. Komon will be the biggest name on the start line of the 2014 De Lage Landen Marathon Eindhoven, but the marathon will be one of just five races in the Dutch city on 12 October. There is also a half marathon (which incorporates the De Lage Landen Company Run), the Dela 4x10.5km marathon relay, the IAK 5km City Run and Trudo 2.5km Mini Marathon.